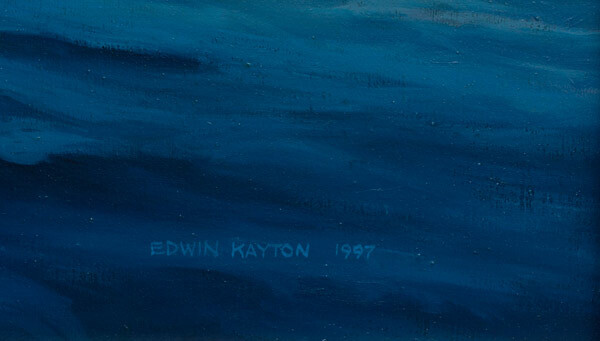 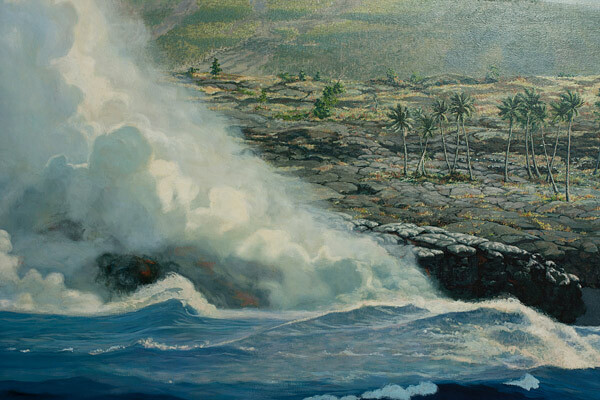 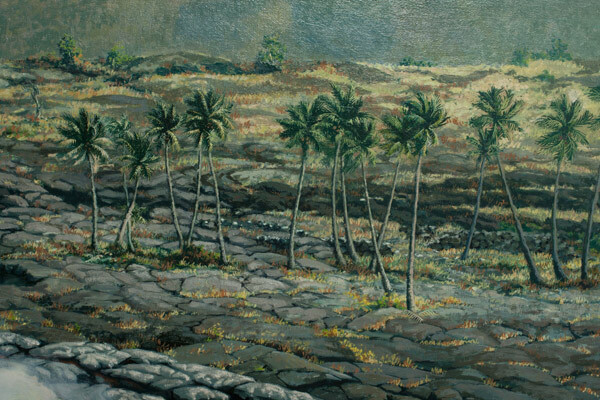 An original oil painting on canvas by modern Big Island artist, Edwin Kayton. 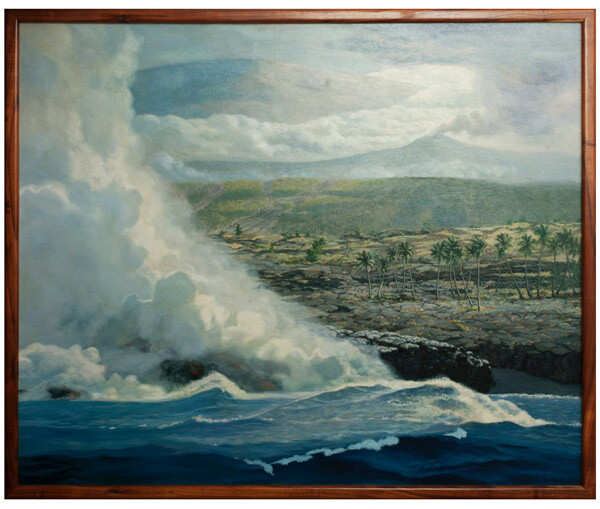 Dramatic plumes of steam billow as lava hits the open ocean, the lava fields of Kona making way to palm trees and greenery, Mauna Loa rising majestically in the background above the clouds. 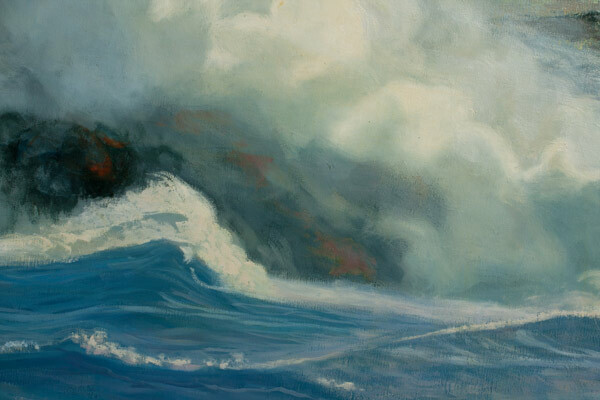 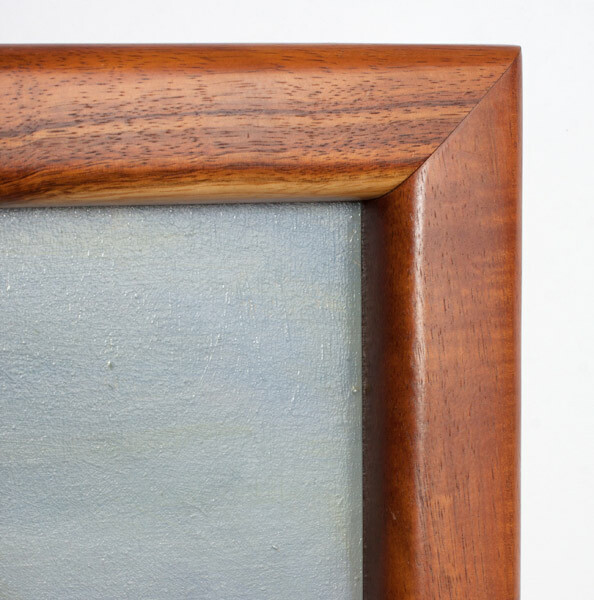 Size: painting 54" x 64-3/4", framed 56-1/2" x 67"